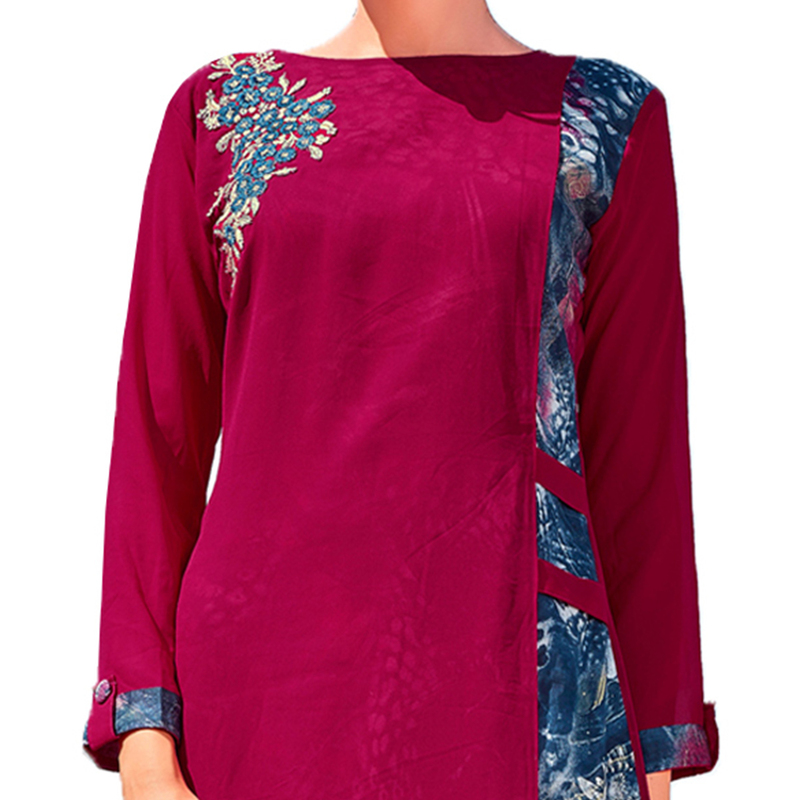 Get your fashionable look with this pink colored party wear embroidered georgette kurti. 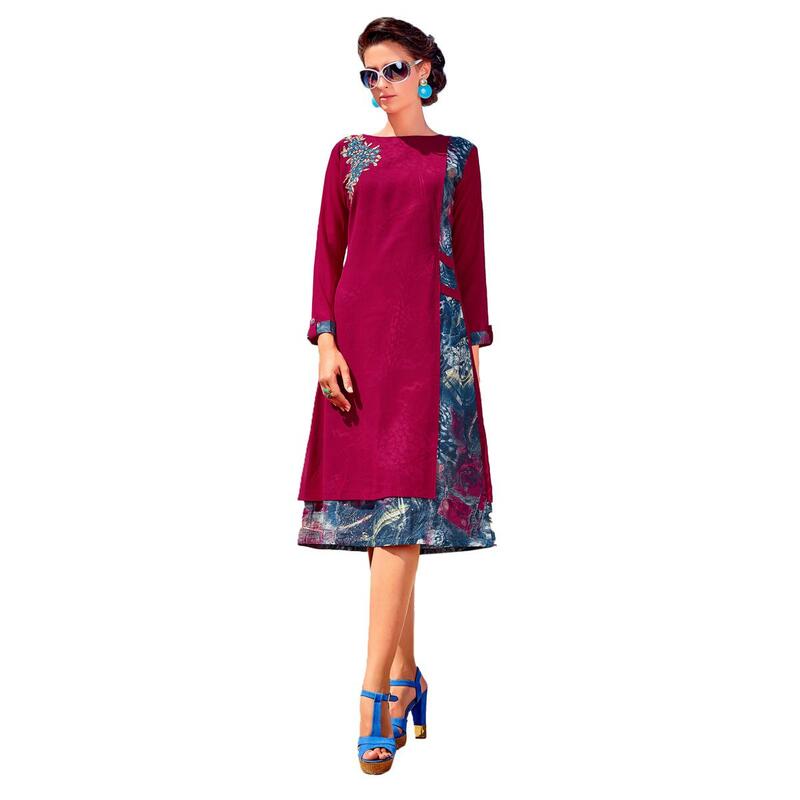 The kurti has solid georgette fabric base with printed design and embroidered patch work. 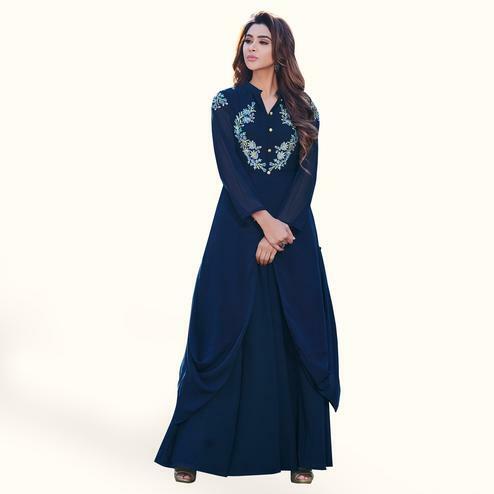 The kurti has 3/4th sleeves and a slit which makes the outfit eye catchy and also assures the wearer a perfect fit & comfort. 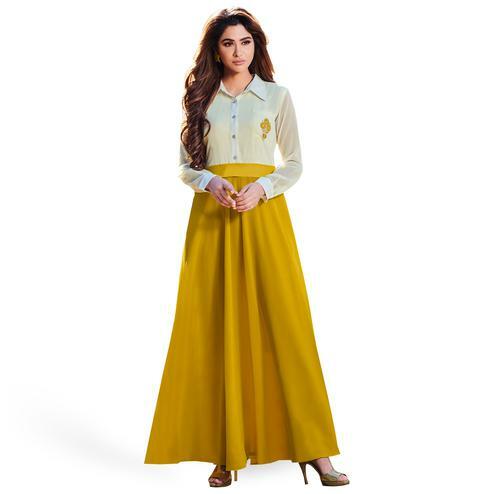 Ideal for parties, casual outing & weekend get together. Team it with high heels and fashionable accessories to look more attractive.